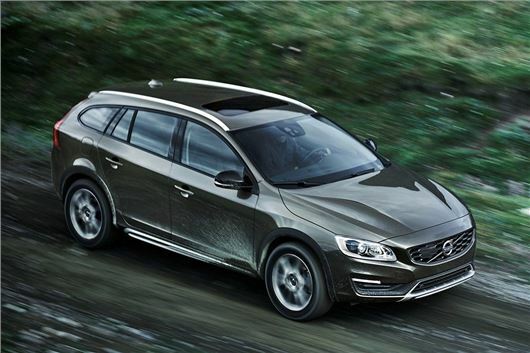 Volvo has announced a new Cross Country variant of the V60 estate. It’s to be offered in the UK with a diesel engine range only, with top models benefitting from all-wheel drive. Expect to pay from around £24,000 when sales start in May 2015. The V60 Cross Country rides 65mm higher than a standard V60 and wears more rugged styling, including bumper extenders and skid plates. In the cabin the Cross Country gets leather upholstery in black with dark brown stitching. Power comes from four cylinder D3 and five cylinder D4 diesel engines, with respective power outputs of 136PS and 181PS. The D4 will be offered with a choice of front-wheel or all-wheel drive. You can expect more detail about pricing and equipment levels nearer to the cars launch in Summer 2015.